Ralph brings to his coaching the experience of leadership development in non-profit settings. Beginning as a social worker in child health, Chris moved from a government position to the not-for-profit.. Welcome to the Australian Coaching Collective! We are a group of highly experienced business, corporate, educational, church, ministry and not-for-profit Leadership Coaches that have delivered effective coaching strategies to these sectors. With our collective experience in coaching senior leaders, many within key strategic positions, we understand the essential elements of leadership and how to navigate the many nuances involved. We value the whole person. Through coaching, we all treasure the core value of creating empowering environments where leaders can flourish (… in their vocational and personal lives, ensuring the multiplication of effective and better leaders). We are only too happy to discuss your needs and how we could contribute to you achieving your leadership and personal aspirations. RESPECT – ACC respects the intrinsic value of every human being. Therefore, we honour each person in the way we speak to and about them; establish appropriate boundaries with whom we interact; and hold what information is shared in strict confidence within the bounds of the law. INTEGRITY – ACC believes that how we interrelate with our clients and each other is an important reflection of our values and character. Therefore, we are committed to working with thorough fairness and honesty on all occasions. EXCELLENCE – ACC believes in operating to the highest standards of customer care and quality service in both what we deliver and how we deliver our services. OPPORTUNITY – ACC values the regular coaching opportunities it receives and walks beside others to see them empowered closer to their potential. We therefore regularly pursue possibilities for coaching by interacting with others to discern the best solution for them. ACCOUNTABILITY – Without being held to commitments, ACC believes that people rarely reach the staggering potential inherent within them. We therefore seek to clarify what people, or groups, aspire to achieve and hold them to their own measurable standards of success. Information we collect is only used to improve our service. ACC will, from time to time, receive and store personal information you enter on our website or give to us in other forms. You may provide basic contact information such as your name, phone number, address and email address to enable us to send information, provide updates or process a transaction. We may also collect additional information at other times, including but not limited to, when you provide feedback, change your content or email preferences, respond to a survey, or communicate with our office for customer support. You may change your details at any time by advising us in writing via email. ACC strives to ensure the security, integrity and privacy of personal information submitted to our site, and updates its security measures to keep up with current technologies. All information ACC receives from its customers is protected from unauthorised use or access by our secure servers and all customer information is encrypted before it is sent to us. Credit card information is not stored by us on our servers. ACC may use personal information collected from you to provide you with information and updates regarding our website and changes to the law from time to time. ACC may also make you aware of their new and additional services and products from time to time. This email newsletter service is free. You may change your email details at any time by advising us in writing via email. If you wish to cease receiving any such information you may unsubscribe or let us know by email and your request will be actioned as soon as possible. Personal information is only supplied to third party suppliers when it is required for delivery of goods or services which you have purchased. We may from time to time need to disclose certain information, which may include your personal information, to comply with a legal requirement, such as a law, regulation, court order, subpoena, warrant, in the course of a legal proceeding or in response to a law enforcement agency request. ACC may also use your personal information to protect the copyright, trademarks, legal rights, property or safety of ACC, its customers or third parties. If there is a fundamental change of control in our organisation (whether by merger, sale or otherwise), or a sale or transfer of its assets, customer information which may include your personal data, could be disclosed to a potential purchaser under an agreement to maintain confidentiality, or could be sold or transferred as part of that transaction. We would only disclose your information in good faith and where required by any of the above circumstances. Any non-personal information, communications and material you send to this site or to us by email, or which we obtain from third parties without promises of confidentiality, may be kept, used and disclosed by us on a non-confidential basis. We are free to use and reproduce any such information freely, and for any purpose whatsoever. Specifically, we will be free to use any ideas, concepts, know-how or techniques contained in such information for any purpose, including developing, manufacturing or marketing products. You agree that any information you send to this site must be truthful, not violate the rights of others and be legal for us to possess and use. This website contains links to other sites. These links are meant for your convenience only. Links to third party websites do not constitute sponsorship or endorsement or approval of these websites. Please be aware that ACC is not responsible for the privacy practices of such other websites. We encourage our users to be aware, when they leave our website, to read the privacy statements of each and every website that collects personally identifiable information. This privacy statement applies solely to information collected by this website. @ 2018 AUSTRALIAN COACHING COLLECTIVE. All Right Reserved. David Allan has an enthusiastic belief in the need to develop and empower leaders as a means of powerfully effecting positive change. As a change agent he has facilitated this both at an individual level and organisationally. This belief has not only been developed from his anecdotal experiences within his own coaching business started in 2003; he has also, through academic rigour, investigated the effects of executive coaching. In 2011, he completed a research master’s thesis on the effectiveness of executive coaching to develop greater leadership empowerment (https://eprints.qut.edu.au/45451/). He has therefore devoted much of his time to the empowering modality of coaching when working with leaders who want to achieve effective results. He loves to work with organisational senior leaders who can’t seem to stay focused on strategic performance because they are either distracted or overwhelmed with day-to-day operations. He assists them in building highly functioning teams and achieving real results, while continuing to develop their leadership acumen. He uses a proven 7-step framework as a scaffold to provide a clear pathway for development yet allowing the flexibility of customising the approach to their specific needs. 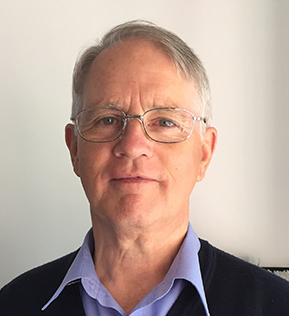 David Allan (MBus) is an Accredited Coach and has a Master of Business Degree, where he focussed on strategic management and strategic human resources, while completing his research master’s thesis on executive coaching. Beginning as a social worker in child health, Chris moved from a government position to the not-for-profit arena. The move was passion based. He wanted to change the world, while having no clear idea how. The first 20 years were immersed in face to face youth work before Chris realised he could affect greater change working with leaders; not just local, but national, and now international, leaders.. In 2006 Chris added coaching and coach training to his skill set. Working exclusively within the international arena he has amassed vast experience in coaching leaders and creating coaching cultures in organisations. Travelling to over 30 nations, multiple times, and training participants representing well over 70 nations, his training bedrock goes down deep. He has a heart to see leadership empowered to work with integrity and excellence the world over. He brings 40 years of experience though he insists the answers are not his – they come from within the clients themselves. His skill revolves around finding, then implementing, these answers. Ralph Bowles brings to his coaching the experience of leadership development in non-profit (church) settings, as well as applications of an organisational improvement cycles. In his coaching business, Focus Energies Coaching, he aims to help individuals, leaders and teams to maximize their potential for success. Ralph completed a Doctor of Ministry Degree from San Francisco Theological Seminary in 1995, with a research focus on Leadership Development. 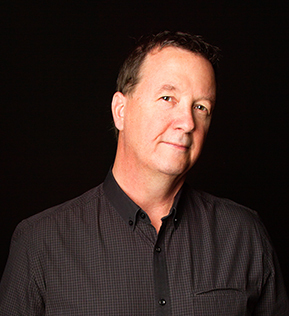 He is a trained CoachNet Global coach, and also currently works with NCD Australia as a consultant and coach for local churches. Ralph also works as a coach and consultant in Wealth with Purpose, (www.wealthwithpurpose.com) a business that is dedicated to helping individuals and churches make best use of their financial resources. Starting as a teacher in English and History she moved quickly into a specialist role in Resource Teaching. 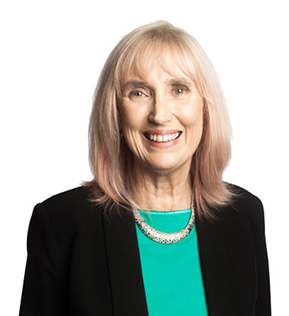 Linda has lectured at TAFE, mothered a family of 4 boys, co-authored a book on healing, and written poetry and songs, all while helping not-for-profit organisations enunciate their stories. Her expertise in this area, and the tragic loss of their 3rd son in 1987 led her to understand and embrace the journey of grief, assist and counsel others internationally, including tsunami victims in 2005, and help people find ways through whatever they were dealing with at the time. She helps others to find their purpose, along with the words and actions they need to bring it to reality. In 2006 she moved into coaching and coaching training. She now provides a particularly understanding and compassionate coaching experience. She has travelled extensively around the world, training and speaking with groups in over 30 nations, helping others be motivated to embrace life and work, through the asking of powerful questions. Graham’s approach to coaching is to help people tap their own inner resources and capacities particularly in goal discernment, strategizing and skill development. By in depth listening coupled with empowering questions he helps leaders reflect on current reality, discern their future direction and develop goals and action plans to focus and realize that future for the whole of their lives. 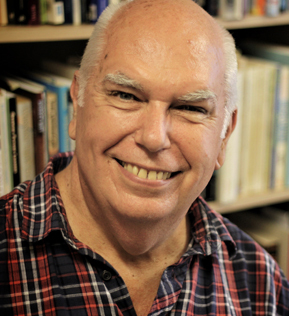 Graham is a minister of the Uniting Church in Australia with 35 years ministry experience in congregations, regional judicatories, state and national consultancy and other resourcing roles. Since early 1993 he has specialized full-time in denominationally based consulting and coaching. In early 2009 Graham was engaged by Lifeline Community Care. Graham has a Doctor of Ministry Degree (Fuller Theological Seminary USA) and is an Accredited Coach. 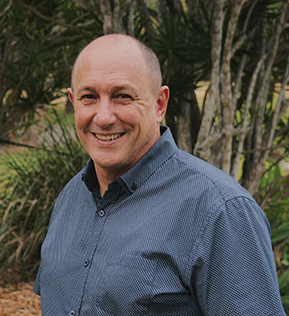 Gary Hourigan is currently the principal minister of Hi-Pursuits Ltd, a Ministry dedicated to the development and resourcing of churches and individuals in pursuit of fulfilling the call of God on their lives. Gary is an ordained minister and works in partnership with a range of denominations, churches and individuals in various capacities. From 2001 to 2007 he held the position of Ministry Development Coordinator for International Network of Churches. In this role he was responsible for the development of church multiplication strategies within INC, which included church health strategies, coaching of pastors and church planters, development of leadership training systems for a church multiplication movement, assessment of potential church planters etc. He still oversees much of this on a strategic level for INC. He has been in ministry for 16 years, and has experience as a senior pastor, ministry trainer, bible college lecturer and church health consultant, trainer and coach. With a focus on Coaching and Mentoring, Change Management, Leadership Development and Mission Strategy for third world Leaders, John’s passion is to see individuals and groups emerge into new seasons of opportunity. He has been the keynote speaker at many conventions and conferences and has travelled throughout his home state of Western Australia and overseas in Indonesia, Malaysia, India and Singapore. John is married to Patti and has three wonderful young adult children: Jared – 24, who has his own carpentry business, Nathan – 22 who works in construction and Talitha – 20, who is along with her fiancé, the youth pastors’ of their local church. 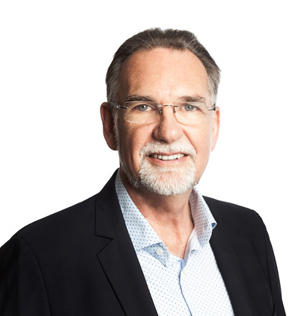 Colin Noyes is a Brisbane (Australia) based coach and consultant with 30 years of extensive experience in the areas of organisational health and growth, change management, leadership development, recruiting/staff development and coaching. He works closely with an international team that designs and field tests creative training strategies; trains, equips and works with leaders on strategies for building healthy organisations that optimize individual performance. As part of his personal and professional development he has been a pastor, a business owner, a trainer, college principal/lecturer and a consultant/coach to consultants, coaches, businesses, educational institutions, churches and nor-for-profit organisations. He has been a member of the CoachNet® Global Team that developed the CoachNet Coach Training Process, and has implemented the process in Australia and around the world. Colin works closely with a group of international authors and publishing groups to provide a large range of resources that are being used by leaders, coaches and individuals around the world. These resources include topics such as Change Management, Conflict Resolution, Problem Solving, Leadership Development, Goal Setting, Team Building as well as Coaching, Discipleship, Church Growth and Church Planting. The resources are designed to help leaders reach their full potential in whatever field they are working. 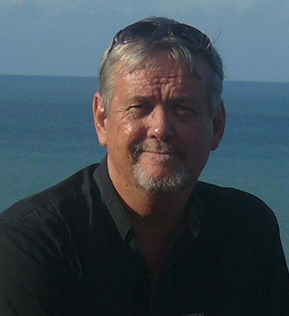 Colin is currently the CEO of ResourceZone International & Director of CoachNet Global (South Pacific). He is married and is actively involved in the lives of his three children, enjoys reading and travel and finds pleasure in his 1968 MGB tourer. 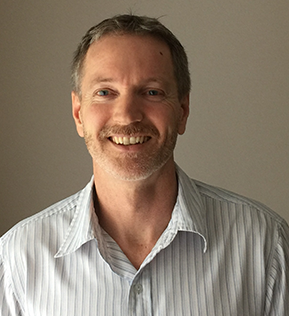 He is a member of the CoachNet® Team that developed the CoachNet Coach Training Process, and has implemented the process in Australia and around the world.